If you’re still searching for Vine alternative or Instagram for Videos then your wait is over, the Cinemagram for Android arrived on Play Store, Cinemagram has pretty good record in iOS and it’s ready to rock on Android. Cinemagram also support special effects, users can add stunning video filters to their 4 Sec video so that stand out. Cinemagram is whole community where you can interact with your friends posts with likes, reposts and comments. Users can explore and discover great GIF through hashtags, categories and trending posts. Explore and discover great gif through hashtags, categories and trending posts. 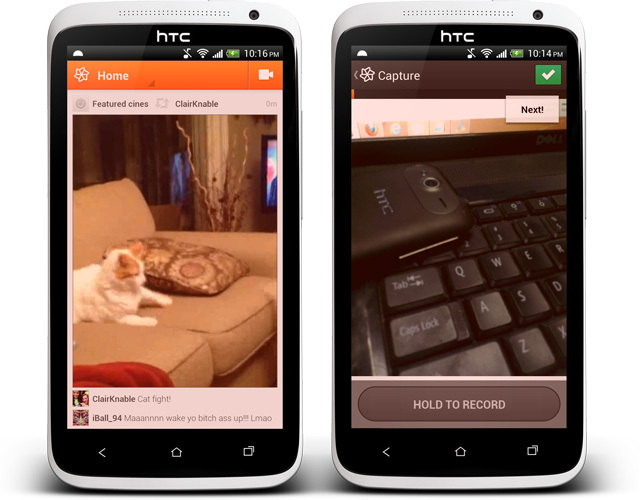 The Cinemagram for Android is available freely on Google Play Store and it requires Android 4.0 and up. You can download the app from below widget.